Finsbury Park has lifts to the tube once again after a century. The station’s last lifts were taken out of use in 1921 and there were once eight! For almost 100 years there’s been none. The bottom landing stages of the old lifts can still be seen to this day. 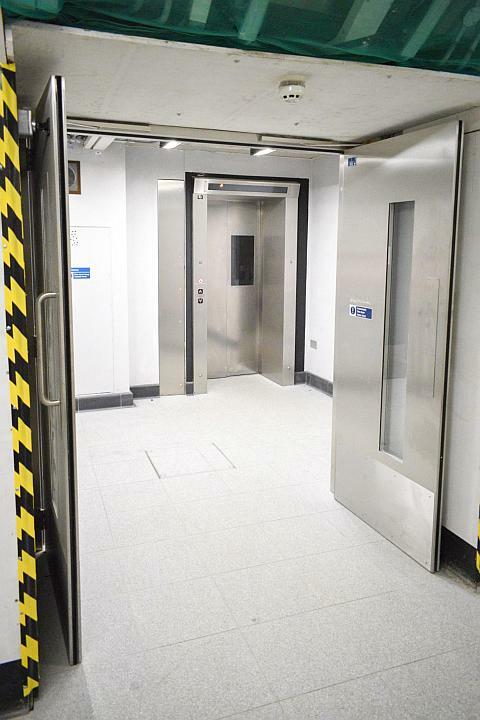 Three new lifts now feature, one of which has been in use for some time. This other lift gives access to platforms one & two. The two brand new lifts do not serve the main line platforms adequately thus full access to National Rail is still limited. 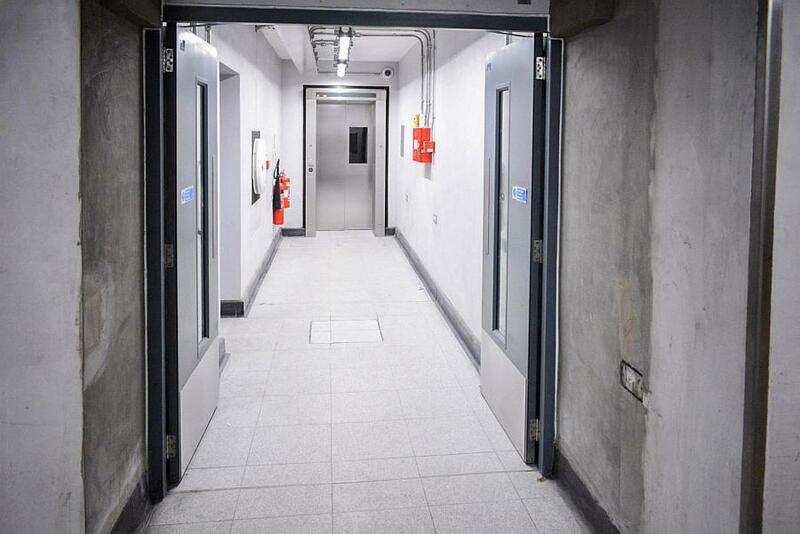 The other aspect of the works involve a passageway from the west side (Wells Terrace/Goodwin Street) of the station to connect with the partially opened cross passageway leading to the lifts. In due course another lift will be built and will give access from this passageway to platforms 7 & 8. Note: This page has been updated with more information in the light of TfL Access deleting their tweets on the lifts’ opening. 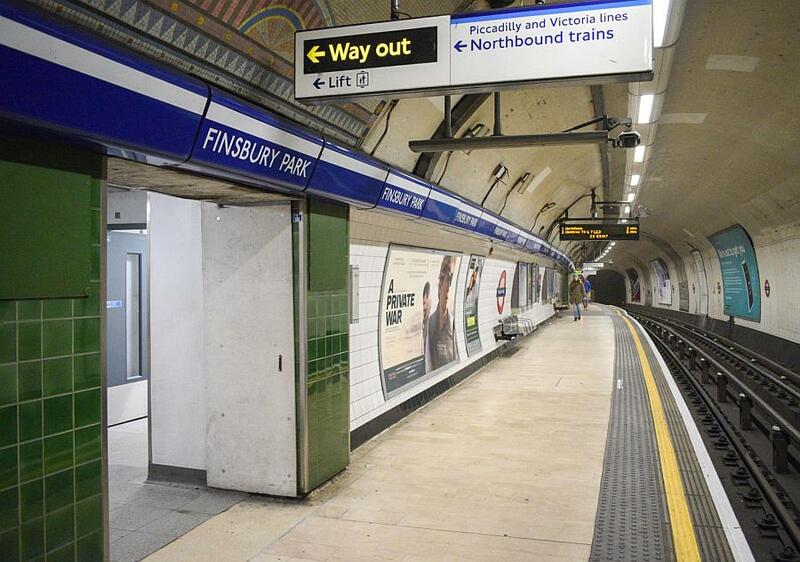 TfL’s assertion that Finsbury Park would have ‘step-free access’ by 2018. It wasn’t to be. See the tweets below discussing the delays in getting the new lifts operational. The lifts were originally to be in use by late 2018. It was eventually moved to mid January. Better late than never! Despite deleting their tweets TfL at least announced the new lifts’ opening on their main page. As has been said, TfL deleted its tweets announcing the opening of the new lifts. Its not known why. However as well as the one shown above plus their webpage, there’s this choice tweet they left behind with some gret misspelling! Anyway let’s get on with the review of the new lifts! One of the 1904 lift landings at Finsbury Park which was last used in the 1920s! At the time of writing the work is not completed. TfL are still waiting for more signs, as well as lift diagrams. The walls on the approaches to the lifts are not finished which means no signs can be put up until this is done. The lifts seen a few weeks earlier when construction work was still ongoing. Are the new lifts of benefit? Yes they are excellent in terms of access to the tube. There’s direct access from street level to the Piccadilly and Victoria Lines although its stressed the National Rail/Great Northern entrance in Station Place must be used. This entrance is easily recognised because its still ungated! Lift L3 which goes to the southbound tube platforms – as well as National Rail 5 & 6. With the new lifts (plus the one pre-existing new lift) four main line platforms at Finsbury park are now accessible. However this isn’t as great as it sounds. 5 & 6 are served directly by the lift linking to the southbound Piccadilly and Victoria Lines, however these platforms are rarely used so its currently a somewhat useless access point. It will remain like this until the rail operators do allow their trains to use platforms 5 & 6, which at the moment seems unlikely. 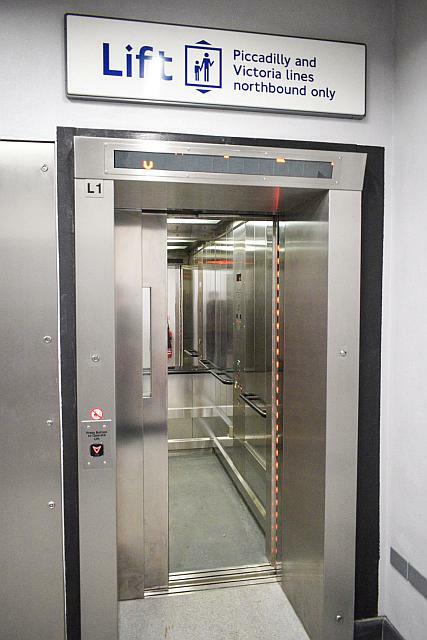 This is the other L1 – the lift that only goes down to the northbound tube platforms. I actually used lift L3 from the tube direct to platforms 5 & 6! 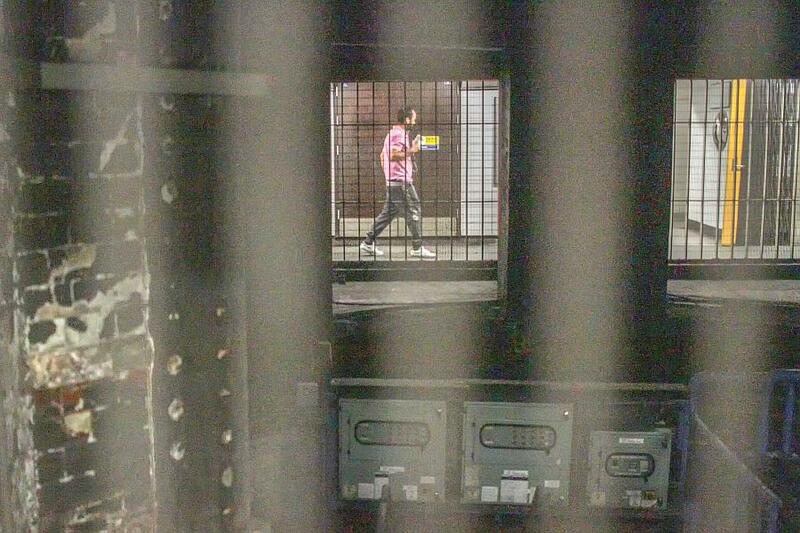 It seems anyone do that can even though the stairs to these platforms are closed off! Lift L3 which serves the main line platforms 5 & 6 as shown in this picture. The stairs are closed off at the bottom. L3’s controls with -1 being the tube. 0 the cross-passageway leading to the other two lifts and street level. 1 is platforms 5 & 6. The fact 5 & 6 are not in use means generally its just platforms 1 & 2 which will benefit from the two new lifts. That doesn’t really open up many new opportunities as King’s Cross can be accessed via the tube – so there’s little point taking the lift from the southbound Piccadilly or Victoria Lines to platforms 1 & 2 and then getting a train to King’s Cross. Lift L1 which is from street level/the cross passageway and the middle cross passageway to the main line patforms 1 & 2. Moorgate isnt currently accessible via National Rail. However it will be accessible when the Elizabeth Line eventually does open. Yet again this will be a journey by tube instead of a Great Northern train from Platforms 1 & 2. 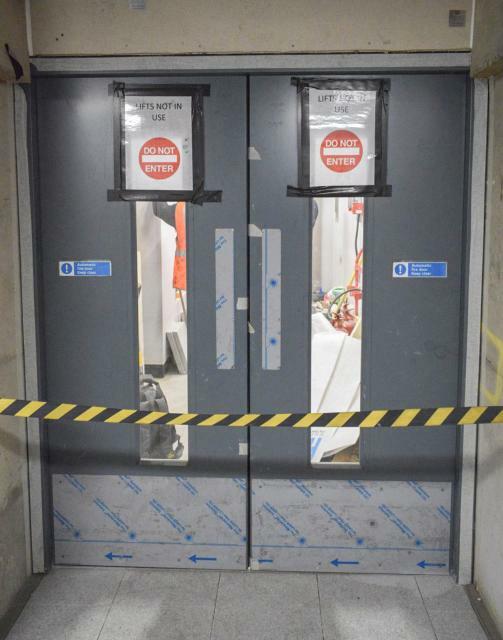 Direct access from the Piccadilly platform to the new lift whose entrance can just be seen on the left. The lifts are signed from the platforms themselves. The main advantage of the lifts at the moment in terms of main line to tube connections is they will enable direct onward connections via the tube, for example directly to Green park, Victoria, Vauxhall, Brixton, or north to Tottenham Hale and Oakwood, as well as Earl’s Court and Heathrow airport, plus a few other locations via acessible interchanges. Its not really ideal for disabled people but again it will be considerably better when more lifts are built across the tube network. The short corridor leading to Lift L1. One can see the walls are not finished and until that is done there will be no signs – unless TfL puts up some temporary ones! I am somewhat concerned that there are inconsistencies with the lifts. First, TfL staff told me they were still waiting for new signs for the lifts. The walls have not been finished either which means until these are done new signs cannot be put on the walls to denote the lifts! There are signs in the main cross passageway and on the platforms which do help. The second point is there are no lift diagrams yet thus one cannot get a reasonable idea of how the lifts are arranged because these helps people to know in advance which lift they should take. Signs on the walls in the main cross-passageway help people to find the lifts. The third point is I find the lift numbering a bit contrived. Its not very helpful. The new lifts are L1 (northbound platforms) and L3 (southbound platforms.) Presumably L2 will be the one eventually built for access to platforms 7 & 8. The problem is Finsbury Park already uses L1 for the lift to platforms 1 & 2, thus we have two lots of lifts labelled as L1! Dont forget the new and yet unbuilt lift to platforms 7 & 8 will be L2! What they should have done is kept the old L1 and numbered the other sequentially westwards, eg, L2, L3 and L4. Its clear TfL have not thought the numbering through properly, and the numbering as it is currently stands will look like this: L1, L3, L1 and L2. This as you can see, is rather contrived. If it had been L1, L3, L4 and L2 it would be better though its still not right. Lift L1 on the right, with L3 and the other L1 further down the passageway. One of the ironies of these new lifts coming into use was the fact well-wishers hoped it would be a long time before any broke down. As if on cue one of the lifts broke down straightaway! TfL, Piccadilly Line and Victoria Line all claimed the lift to platforms 3 & 4 had broken down. There’s no such lift to these platforms and there wont be for another couple of years or more at least! What they meant was the lift to platforms 5 & 6! It shows their accessibility knowledge seriously needs to be a bit more polished especially as platforms 5 & 6 are not in use anyway. Perhaps TfL staff need yet more training? 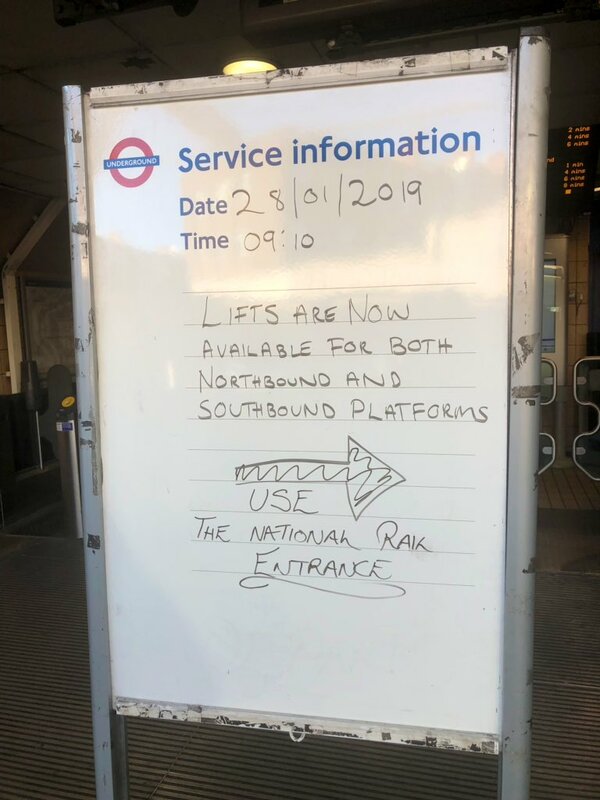 ⚠️ ♿ Finsbury Park station: lift access is not available between the southbound Piccadilly/Victoria lines and the interchange passageway with National Rail platforms 3 and 4. This is while we repair a faulty lift, and we'll keep you updated. So they literally lasted less than 10 hours from the opening? Finsbury Park: Good news, the lift providing access to the @Victorialine @Piccadillyline and the interchange passageway / National Rail platforms 3 and 4 has been repaired. All access points to the lifts are absolutely level and there are no ramps or inclines of any sort anywhere – apart from the raised sections on the tube platforms to permit level access onto the tube trains. However Finsbury Park isn’t exactly step-free as TfL seems to think. A partial step-free station is no step-free station of course. Its therefore NOT the 77th step free station as TfL claims. The line diagrams are not updated on the Victoria Line. Finsbury Park clearly shows no accessibility symbol. In terms of the trains themselves, the line diagrams have not been updated to reflect the changes. Those the Victoria Line are worse since they also do not reflect the new changes at Victoria tube station since its lifts opened last year! Geoff’s least used tube stations? Jubilee Line goes full throttle! Previous Post: Don’t we just love fake history films! Next Post: Completely clueless Crossrail! TfL seems to have an inexplicable aversion to replacing the car line diagrams. Not only do they end up looking horrid and tatty, but terribly outdated too, as you noticed with accessibility information. The claimed reason is to save money, although I can’t imagine it would cost that much to put on some new stickers every few months. I spotted a 2012 Olympics vintage CLD on the Central Line last month, which is really taking the principle to the extreme! AH – have you any idea how many diagrams are in each train, and how many trains there are on the lines? A fair few! Mave a look at TfL’s latest financial announcements and you’ll see that where they can save money they have to!